Owing to the weak RMB as well as the inflation, many consumers choose to shop directly from China. Why? Not only because it is more cost-effective, but there are also more choices to choose from. However, due to the differences in user habits and languages used, direct purchasing has become not-so-smooth. So, how do we learn up the process quickly? Just remember to follow these steps to keep your direct China shopping a pleasant experience. In general, direct purchasing is a DIY kind of self-service shopping, without relying on an agent. Its overall process is: Registering at the forwarder’s website and obtaining its Chinese address -> shop at the Chinese e-commerce website -> the forwarder will receive the goods at its address in China and then ship it to your country -> customs clearance and to you via courier. 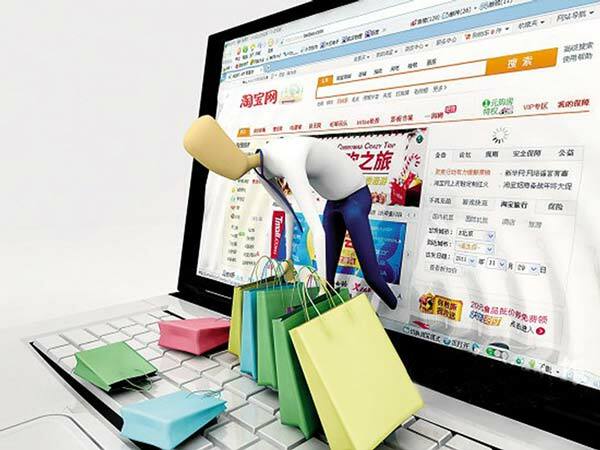 As such, you’ll get to enjoy a lower cost and the advantage of shopping in the “Manufacturing Capital.” In fact, many taobao agents are using this method to run their businesses. Most of the Chinese online stores do not support direct shipping to overseas. Even if they do support, the shipping fee will be high. The forwarder companies can solve this problem by providing you with a unique Chinese shipping address, receiving the goods on your behalf in China, and then ship it to your address, charging you a certain amount of service charges. There are a great lot of items available on Taobao and it is currently the main direct purchasing platform in China. Most of the forwarder companies provide Taobao forwarding services. Their charges may vary and their clearance time may differ, but their functions are almost the same. After registering on a forwarder’s website, the consumer may find his Chinese shipping address in the homepage. Each forwarder’s website works similarly. Before shopping, get your credit card ready (Master, Visa, JCB, etc.) Many of the Chinese merchants, such as the famous Taobao and Tmall, accept international credit cards. However, there are also some merchants who do not accept international credit cards. For such cases, we’ll have to buy through an agent. The shopping method is quite similar to those of B2C, with only slight differences in the payment steps. Basically, the process would be: Register – login – add items to the shopping cart – checkout – fill out the shipping address (i.e. the Chinese address provided by the forwarder) – fill out the payment method – confirm order – receive a confirmation email. Usually the payment is made via a credit card, whereby you’ll just need to fill out your card number, name, valid thru date and the CVV code. Tip: Some websites will pre-authorize $1 to verify that your card is legitimate. Don’t worry, as the 1 dollar will not be shown on your bill. Taobao is China’s largest online shopping mall with a wide range of products, which are normally sold at favorable prices. Moreover, there is no limitation whatsoever to foreign users, making it your first choice for direct purchasing. Since Taobao is a Chinese website, it is recommended that you start your direct purchasing journey on Taobao with help from friends who are good in Chinese, or by means of some translation tools. Several days after making a payment, you can check from the forwarder’s website whether the goods have arrived at the shipping address/warehouse. If you are worried or if there’s a delay, you may check the tracking number from the order details and get updates from the courier’s website (e.g. UPS etc.) Jot down the waybill number and verify with the forwarder if necessary. Each forwarder will have a slightly different operating procedure, but nothing more than transferring a sufficient amount to the forwarder’s account for shipping fee, filling out your address, confirming forwarder’s storage invoice, verifying weight (shipping fees are usually based on weight), submitting application for transshipment, calculating the cost, etc. After that, you may just sit back and wait for the goods to be delivered to your address. In most cases, there will be a tracking page where you can check the real-time status of the consignment and the delivery time. Tip: Certain forwarder services are prepaid. You may reload a little more than needed to avoid any delay due to insufficient balance. Each forwarder has detailed instructions for the whole process, you don’t need not worry about this. After doing it once, you’ll get to know how it works. Products purchased need to be custom cleared before they can be shipped locally. If any customs duty needs to be paid, it might cause a delay in delivery time. However, even when a customs duty is charged, the product price will still be lower than if you buy it locally. If customs duty is charged, the forwarder will contact you via phone or email. After reloading, the forwarder will settle the payment for you. Forfeitures are very unlikely to happen. Most of the forwarders are using EMS as their courier service, while some others are using UPS, DHL, etc. You can check the waybill number from the forwarder’s website and track the real-time status of your parcel from the courier’s website. Once the status can be seen using the tracking number, it’ll only take another 2-3 days for the goods to be delivered to you. Although it can be very tempting to shop from China, not all items are suitable for “direct purchasing.” For instance, the shipping cost of certain heavy items may offset the price difference. For such items, it’s not worthwhile for direct purchasing. In addition, you should avoid purchasing items that are prohibited from shipment, such as perfumes, aerosols and other pressurized cans. Lastly, be patient when doing a direct purchase. The entire shipping process will usually take up to 2 weeks or 20 working days, which is very normal. If you have any enquiries, please contact the forwarder or the merchant. Other than that, if there is any defect in the item purchased, you will definitely have to face the inconveniences of returning the product. May I know where to find a reliable forwarder?